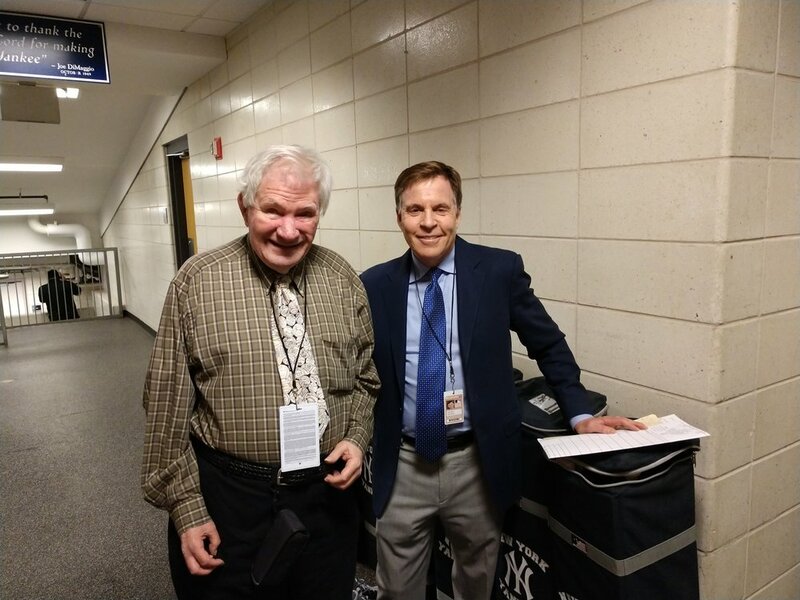 Since 1964, Ed Lucas has worked as a reporter/broadcaster, covering the New York area sports scene, despite being totally blind, as he has been for the last 67 years. Depressed and scared about his future as a blind person, Ed pictured himself as a helpless soul standing on the corner with a cup and a cane selling pencils. His mother did two things that changed his life. First, she enrolled him in a residential school for the blind, a revolutionary institute run by disciplinarian nuns who believed that blind people could do anything they set out to do if they could learn to be independent and have self confidence. A “no cup or cane” mentality was instilled. 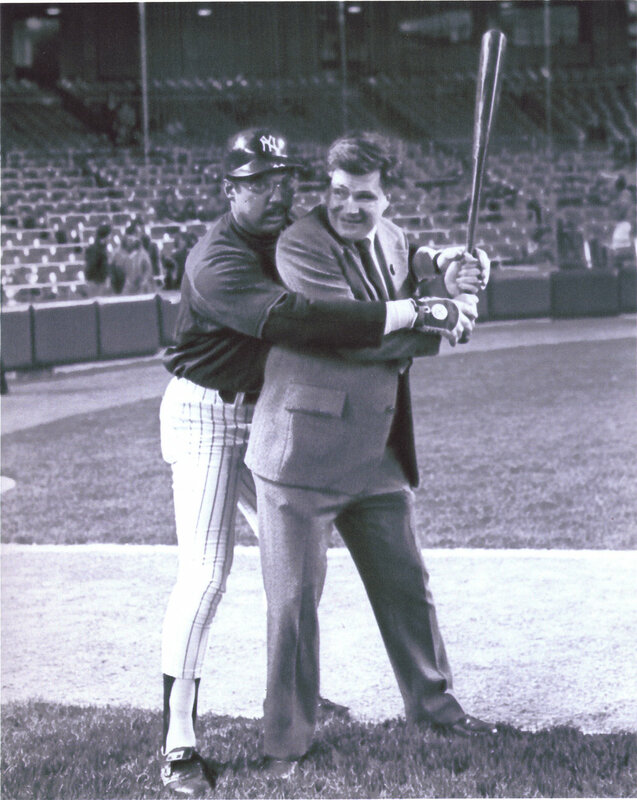 In the late 1980’s, Ed was introduced by Phil Rizzuto to Allison Pfeifle, his florist, who was also legally blind. After a long courtship, Ed married Allison at home plate in Yankee Stadium on March 10, 2006. This was the first time that anyone was allowed to be married in that hallowed spot, and the wedding made news all over the globe. (The coverage of the wedding on the YES Network was nominated for an Emmy Award.) Director Penny Marshall was a guest at the wedding, and has expressed an interest in bringing Ed’s life story to the silver screen. Six and a half decades after losing his sight, Ed Lucas, through his production company, “No Cup Or Cane”, tries to continue to inspire others and show people with disabilities (both visible and non-visible disabilities), that there are no true handicaps in life. With faith in yourself, a passion for something, and a determination to reach your goals, any obstacle - big or small - can be overcome. He is living proof of this. 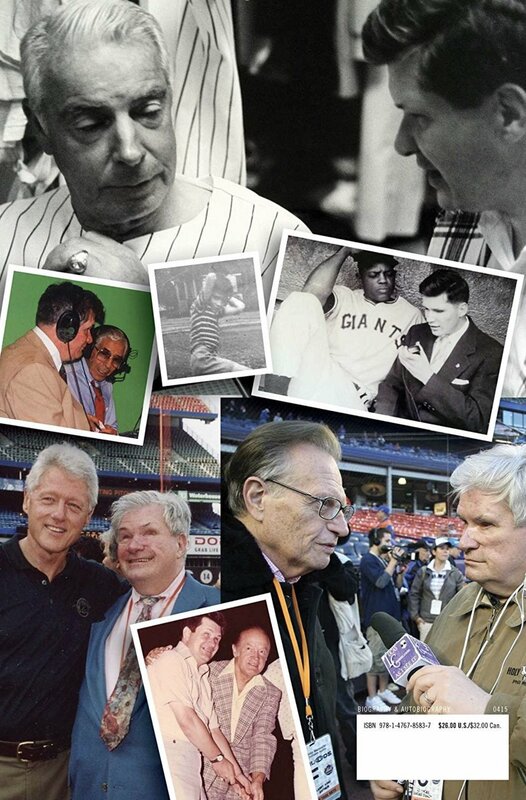 Seeing Home: The Ed Lucas Story is the incredible true tale of a beloved Emmy-winning blind broadcaster who refused to let his disability prevent him from overcoming many challenging obstacles and achieving his dreams. 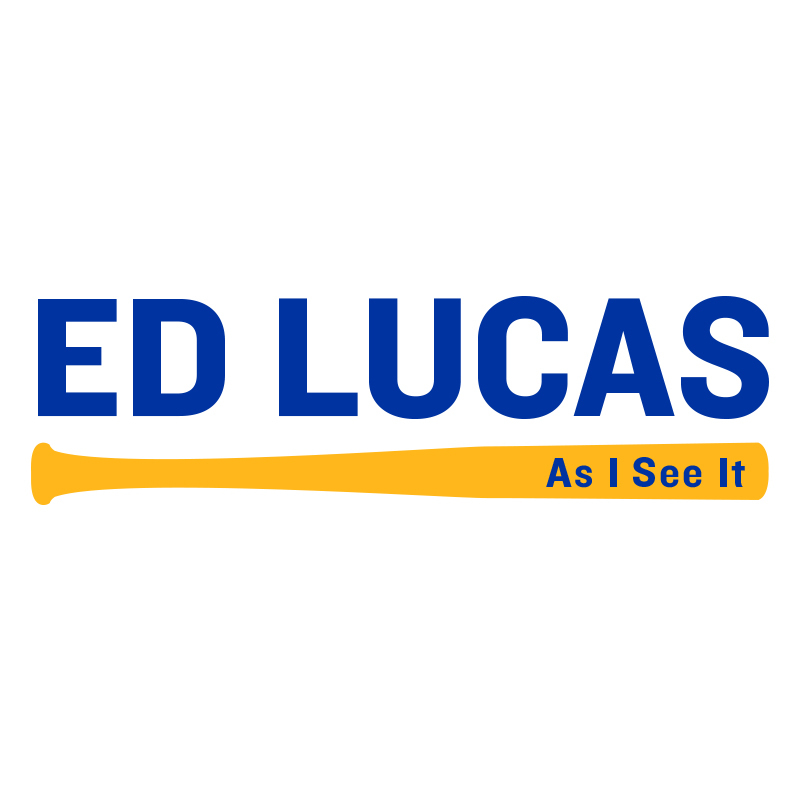 In 1951, when he was only twelve years old, Ed Lucas was hit between the eyes by a baseball during a sandlot game in Jersey City. He lost his sight forever. To cheer him up, his mother wrote letters to baseball superstars of the day, explaining her son’s condition. 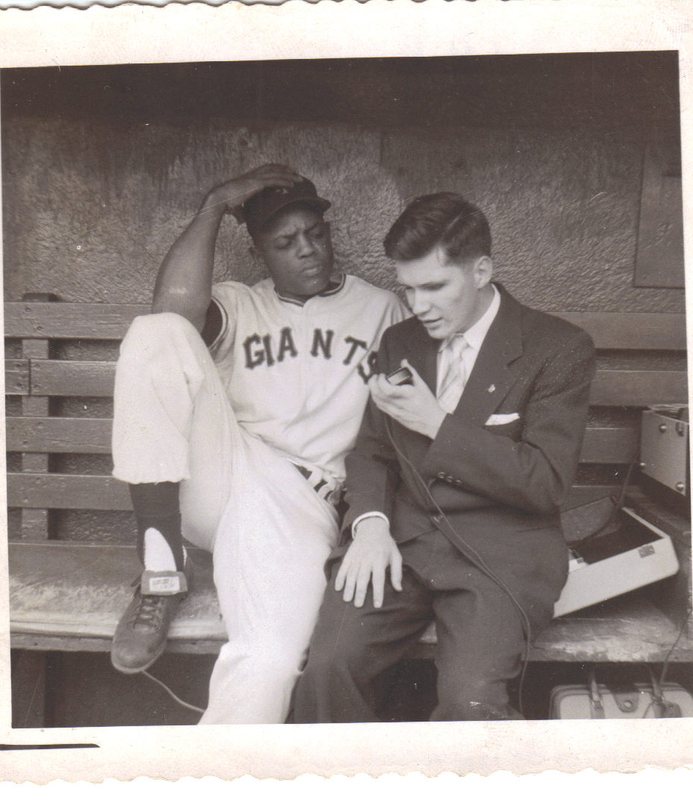 Soon Ed was invited into their clubhouses and dugouts, as the players and coaches personally made him feel at home. Despite the warm reception he got from his heroes, Ed was told repeatedly by others that he would never be able to accomplish anything worthwhile because of his limitations. 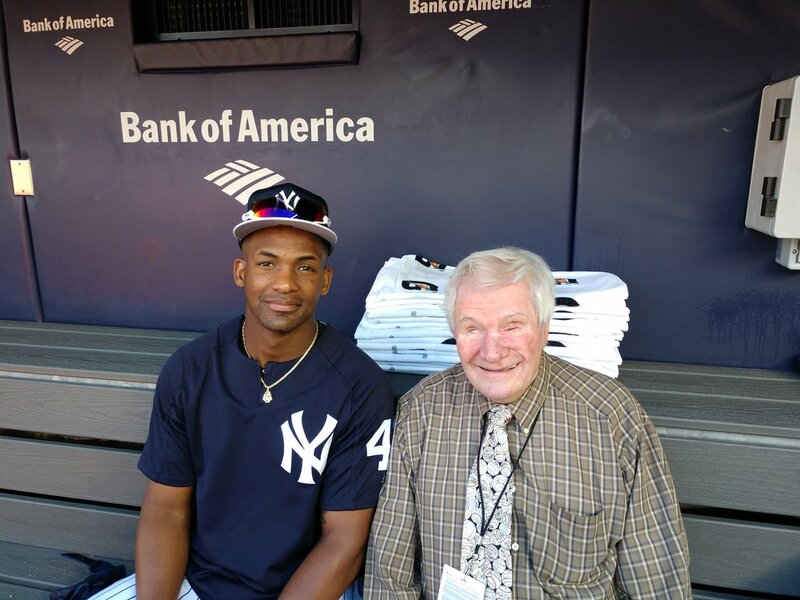 But Hall-of-Famer Phil Rizzuto became Ed’s mentor and encouraged him to pursue his passion—broadcasting. 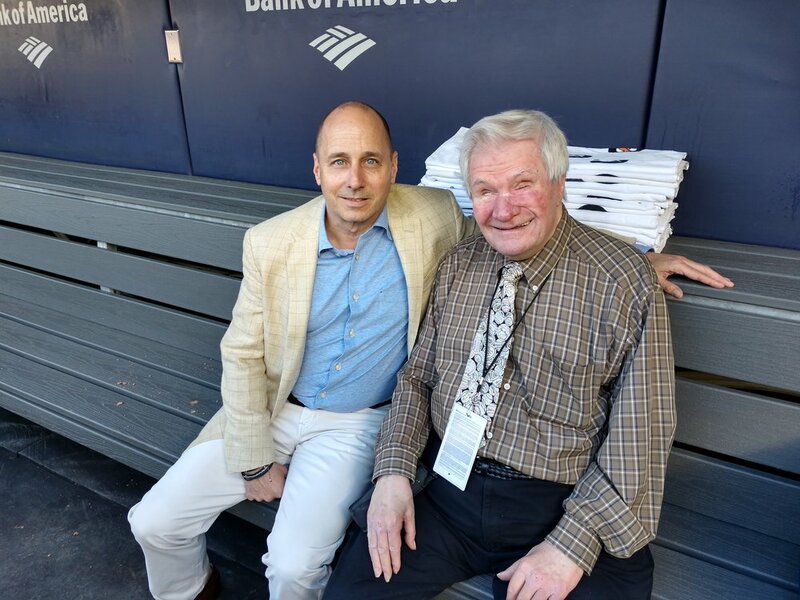 Ed then overcame hundreds of barriers, big and small, to become a pioneer—the first blind person covering baseball on a regular basis, a career he has successfully continued for six decades. Ed may have lost his sight, but he never lost his faith, which got him through many pitfalls and dark days. When Ed’s two sons were very young, his wife walked out and left him to raise them all by himself, which he did. Six years later, Ed’s ex-wife returned and sued him for full custody, saying that a blind man shouldn’t have her kids. The judge agreed, tearing Ed's sons away from their father's loving home. Ed fought the heartbreaking decision with appeals all the way up to the highest level of the court system. Eventually, he prevailed, marking the very first time in US history that a disabled person was awarded custody over a non-disabled spouse. Even in his later years, Ed is still enjoying a remarkably blessed life. 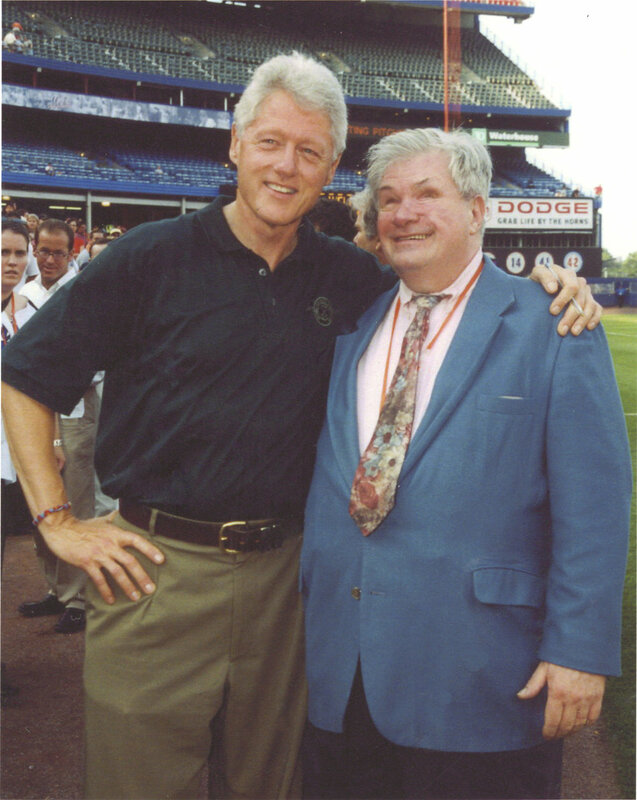 In 2006, he married his second wife, Allison, at home plate in old Yankee Stadium, the only time that such a thing ever happened on that iconic spot. 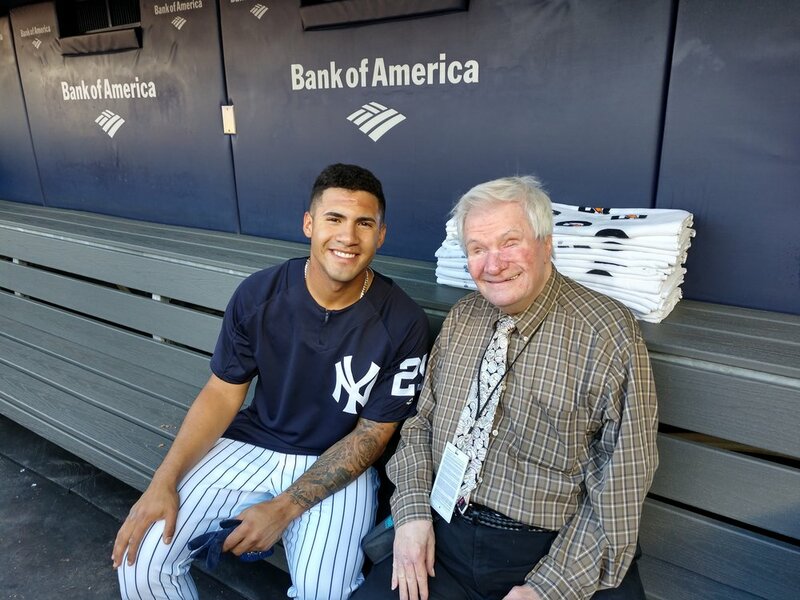 Yankee owner George Steinbrenner himself catered the whole affair, which was shown live on national television. Seeing Home: The Ed Lucas Story is truly a magical read and a universally uplifting and inspirational tale for everyone, whether or not you happen to be a sports fan. Over his long and amazing life, Ed has collected hundreds of anecdotes from his personal relationships and encounters with everyone, from kings and presidents to movie stars and sports Hall-of-Famers, many of which he shares in this memoir, using his trademark humorous and engaging style, cowritten with his youngest son, Christopher.